Need for digital content is increasing on a daily basis. Businesses like finance, publishing, education, hospitality, and healthcare are now dependent on creating digital content so that they can stay ahead of their competitors. In this era of digitalization, many companies are investing their money on keeping their digital data safe. Adopting Digital Asset Management (DAM) is the best way through which companies can organize, store and retrieve images, photos, music, animations, videos, multimedia content and more. Digital Asset Management tools also help in managing digital rights and permission without any hassle. Efficient management of digital assets is considered a critical aspect. This makes adoption of efficient (Digital Asset Management) DAM systems substantially advantageous for enterprises. Let’s dig in further to understand how Digital Asset Management tool can prove beneficial for online businesses. Sometimes it becomes difficult for creative and marketing team to search for the rich data. In such cases, Digital Asset Management helps you handle digital assets easily. It prevents the creative teams from spending money on buying or creating new assets. DAM system quickly determines current resources and how can they be reused. It quickly evaluates the performance of current assets and alters them to a new version whenever needed. Recreating older versions, thus helps in reducing overall management cost. Data management is easier when a website is new. As and when a website starts receiving traffic, it becomes difficult to manage it. Then the challenge for the creative teams is not only to stay ahead of the competitors but also to meet the requirements customers have. DAM is integrated with the analytics. It easily brings in analytics data like response rate, revenue, engagement, shares, revenues, conversions, and other metrics and links it with your digital assets. 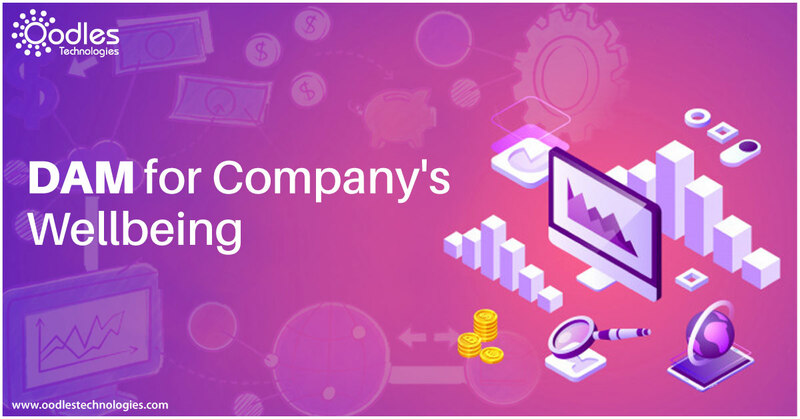 It helps companies evaluate the performance of different assets which will otherwise help in maximizing the monetization of content. Digital Asset Management allows proper storage of digital assets. It eliminates the chances of duplicacy so that no incorrect versions of a particular asset are created. It helps in creating a clear overview and also saves time as well as server space. Digital Asset management solution offers control on the level of access to assets and how they are viewed. It manages license agreements of digital assets and offers protection in case of copyright issues. Digital Asset Management system makes the distribution of content on different marketing channels easier. It easily integrates with systems like PIM or Cloud Services, CMS that allows data storage directly to the DAM system. Digital Asset Management gets connected to relevant channels due to which they get viewed easily without any media interruption. Impressed with Digital Asset Management or still searching out ways for data management solutions? Look no further than Oodles Technologies. We are a software development company, providing software solutions for technologies like Blockchain, Machine Learning, Artificial Intelligence, ERP, Big Data, Live Video Streaming and more. Our skilled team of developers, deliver end-to-end development solutions at the best market rates.